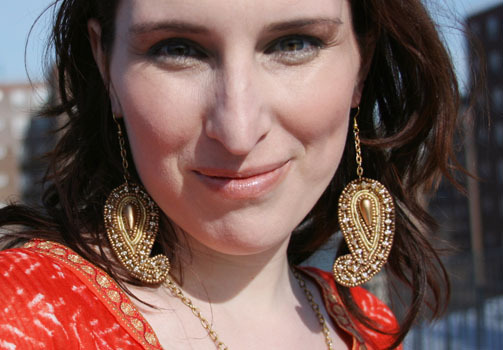 Beautifully hand beaded paisley earring with highlights of blue & silver on gold. 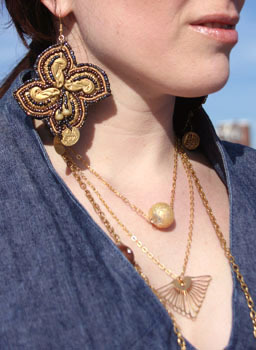 Hand beaded paisley earring on delicate sterling silver chain. 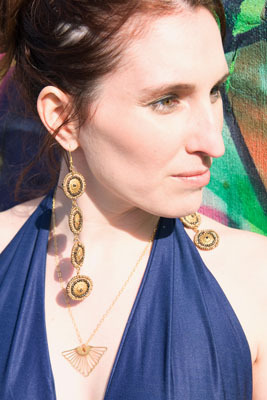 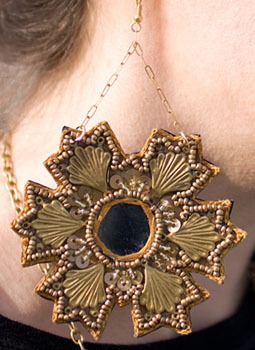 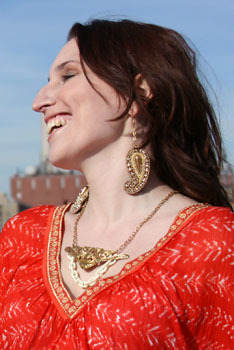 Hand beaded gold earring with mirror center on delicate chain. 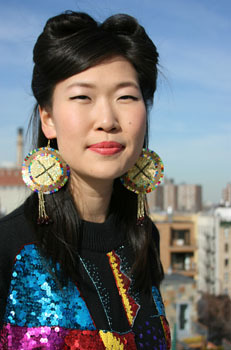 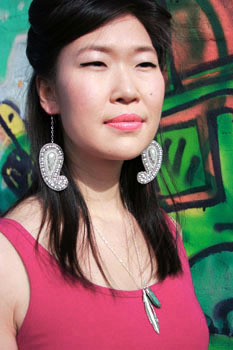 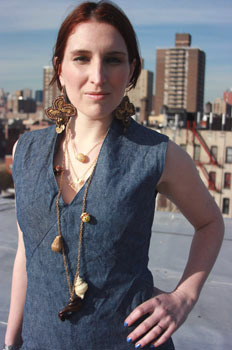 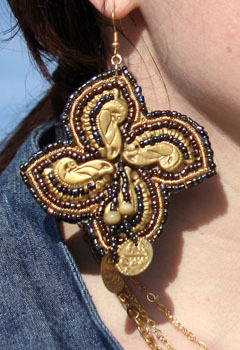 Circular sequined earring with beaded x- marks-the-spot center and multiple seed bead drop. 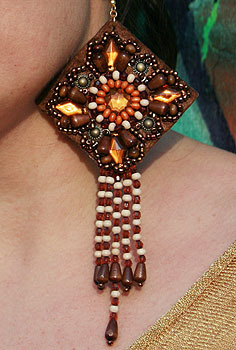 Diamond shaped earring with orange, brown, gold, & tan beadbwork and a five-strand tan & brown beaded drop. 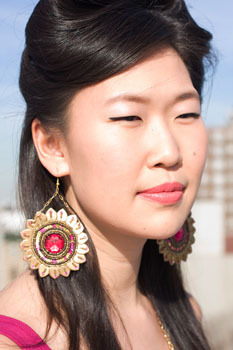 Embroidered open gold circle with accents of pink beads and a delicate gold chain drop. 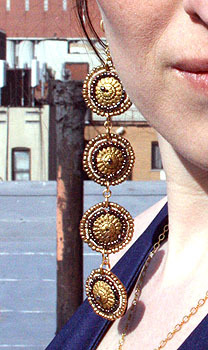 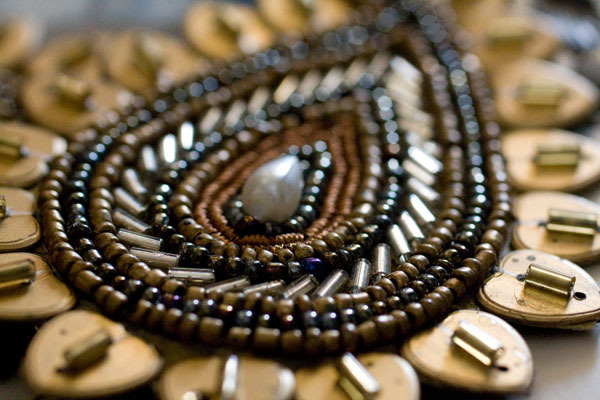 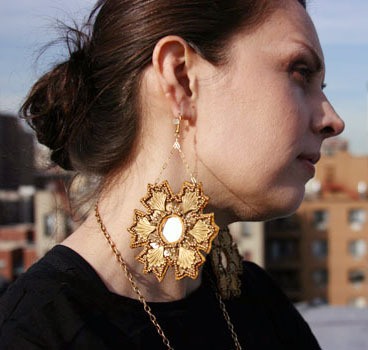 Four hand beaded circles with gold brass centers that dangle down from one another. 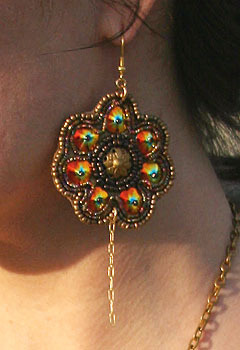 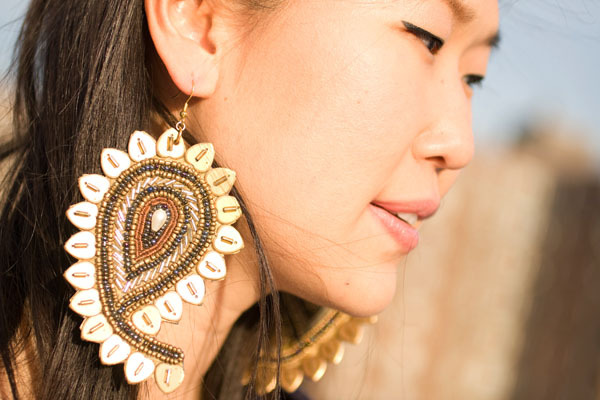 The coolest flower earrings on the planet with multi-color gold sequins & gold seed beads around a brass center with a delicate gold chain drop. 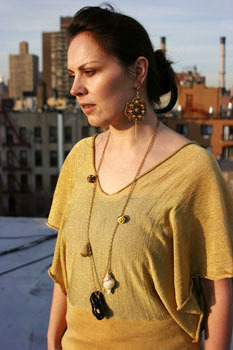 Beautifully hand beaded brass bird earring surrounded by purple seed beads and a double stranded drop with a brass coin finish. 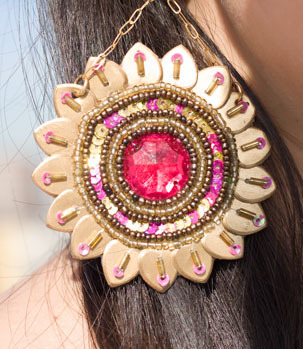 Hand beaded gold flower earring with a pink center surrounded by sequins & seed beads hung from a delicate gold chain.